Ian Anthony Nelson is a filmmaker from Santa Rosa, California. 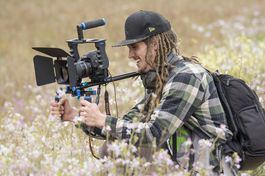 Earning a BFA in cinematography from the Academy of Art University, Ian has worked as a videographer and camera assistant on a variety of films. Discovering and observing wildlife in their natural habitats has been a lifelong pirsuit. Ian has worked with organizations including American Bird Conservancy, Kaua’i Endangered Seabird Recovery Project, Pacific Rim Conservantion, Bay Nature, Golden Gate Audubon Society and others on short video projects. Working in association with environmental and wildlife organizations has allowed Ian to promote global awareness of the many ecosystems and life forms on this planet. Educating the public is vital to maintaining a healthy environment.